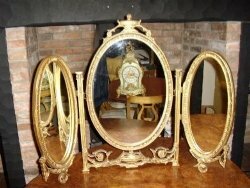 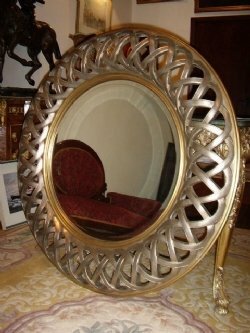 A unusual round modern mirror finished in silver & gilt with fretworked design around the edge. 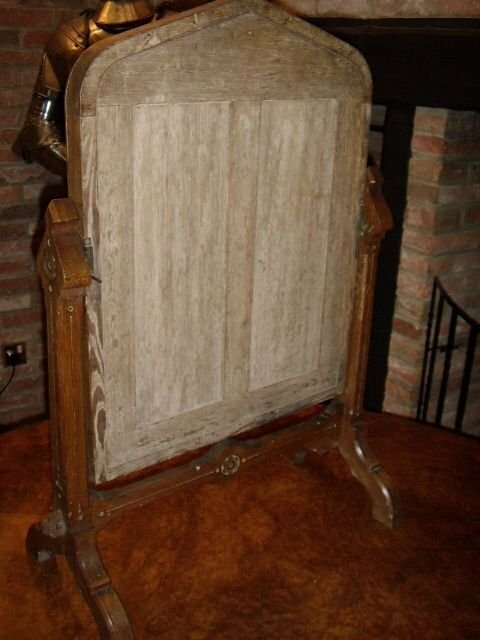 A very eyecatching antiqued interior design piece which would look elegant in most rooms. 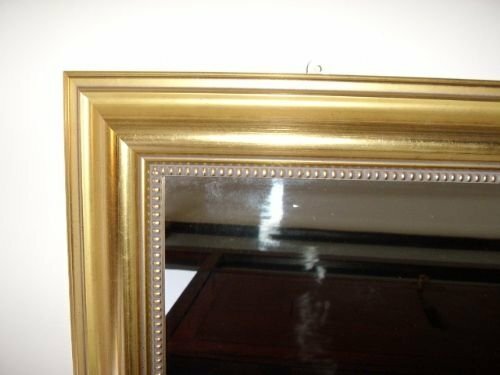 Condition is excellent as it has never been hung. 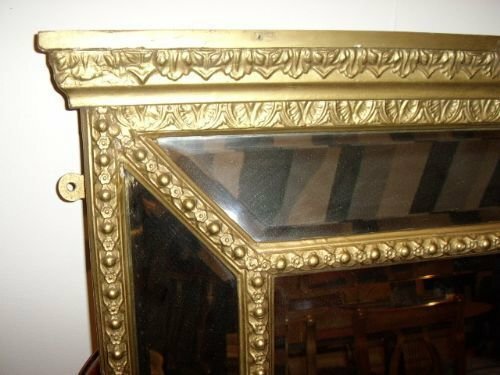 Good quality beval cut glass. 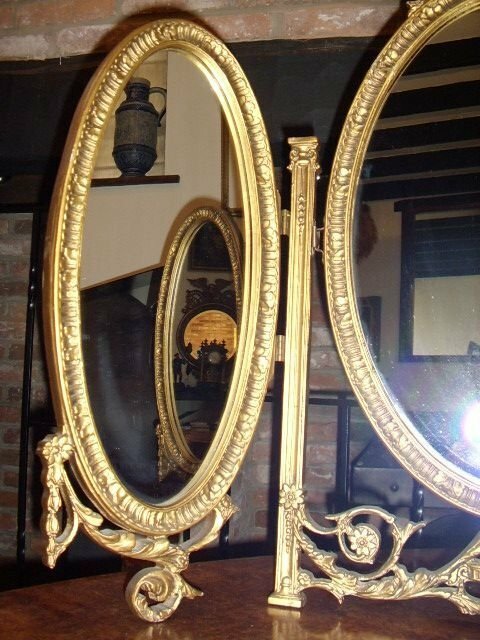 REQUEST DELIVERY DETAILS & QUOTE. 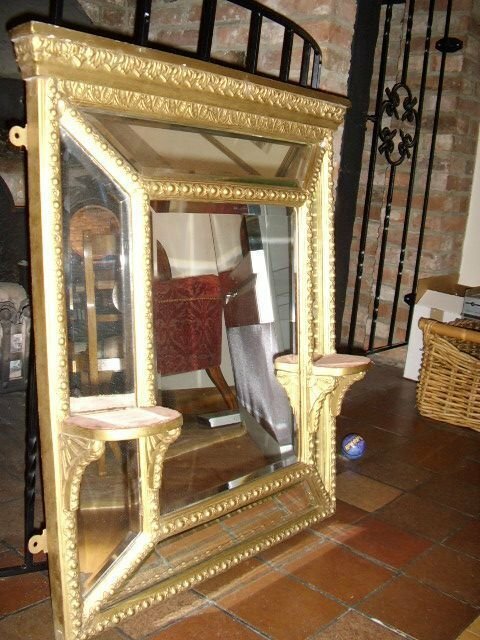 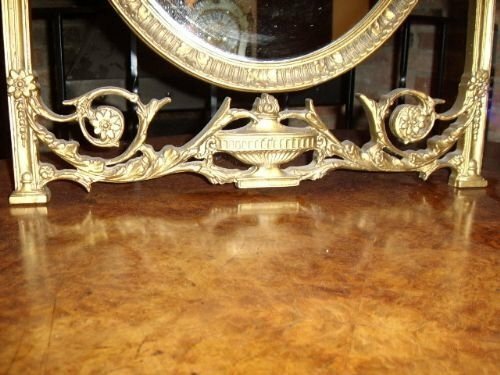 A modern Overmantle or Dress Mirror in antique gold finish,ideal turned lengthways over a fireplace or upright for use in the bedroom when dressing. 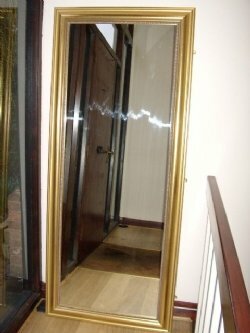 All in excellent condition and fully sealed. 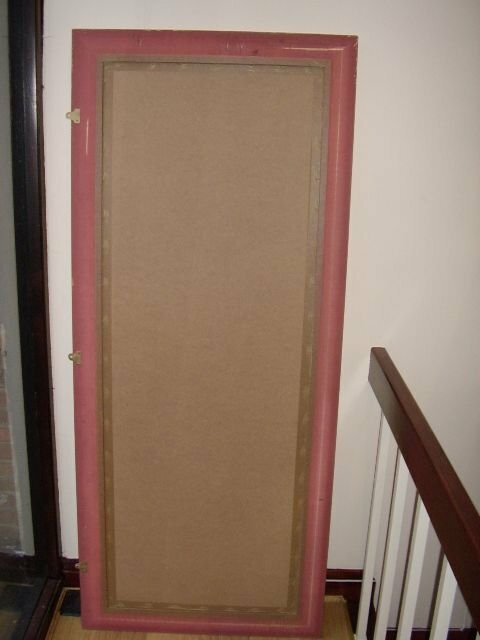 Measurements are 69 Inches x 29 Inches. 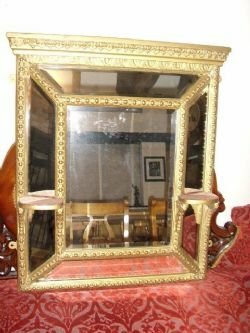 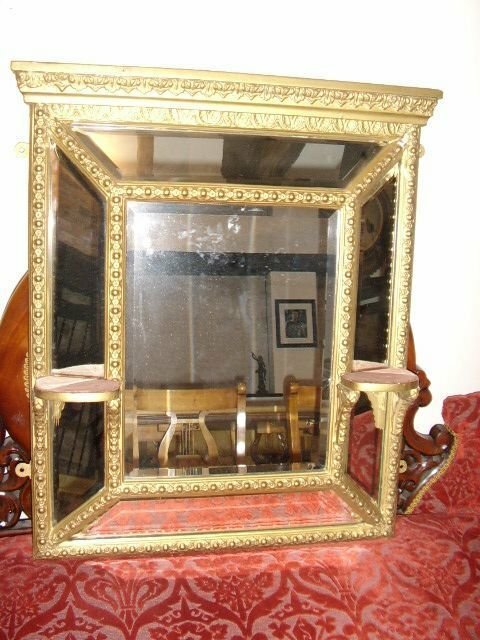 A beautiful Cushion Mirror with Quality Beval Cut Mirror Panels and two tiny platform bracketed shelves for standing a pair of candlesticks on. 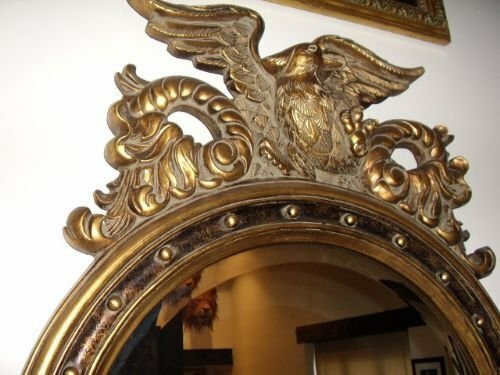 The plasterwork is in very good condition throughout,but as usual the gilt finish has been refreshed afew times over the last 100 years. 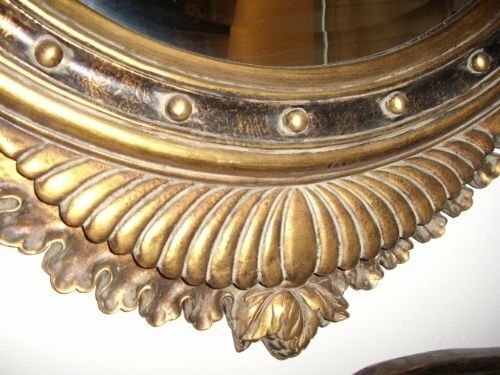 The mirror silvering is in excellent order on all inset panels,with no speckling being seen. 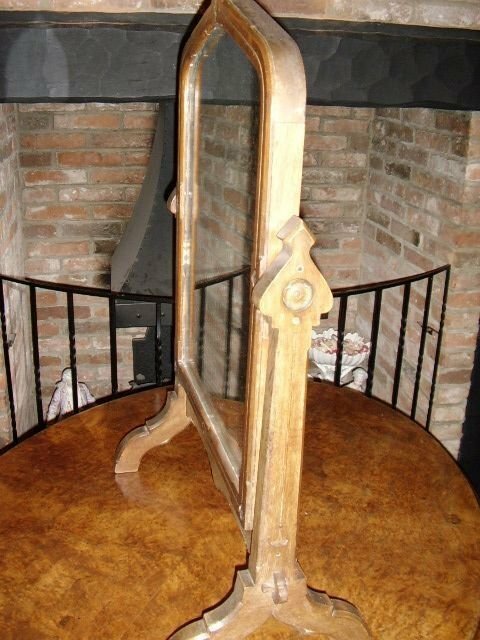 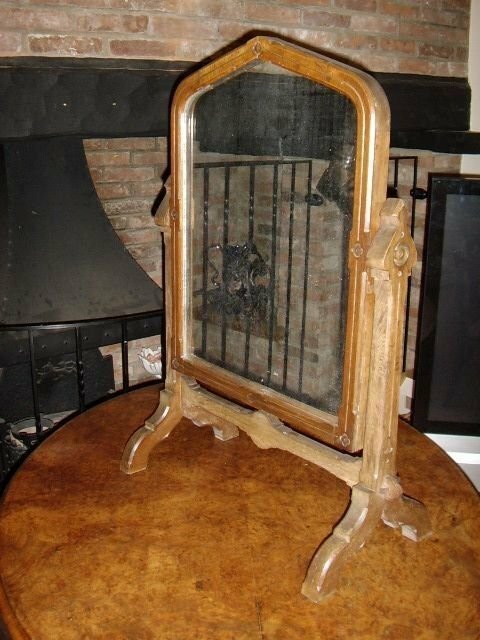 A well made early Victorian heavy duty table mirror being fully adjustable with stand and gothic stlye church window shaping. The mirror is original 10mm thick glass. 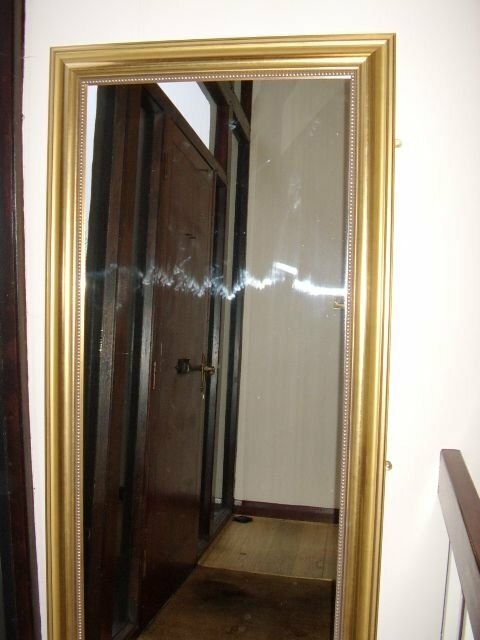 The Condition is very good and solid. 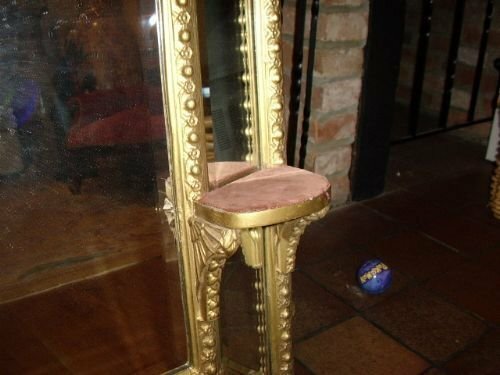 Just needs a good polish with a stain wax. 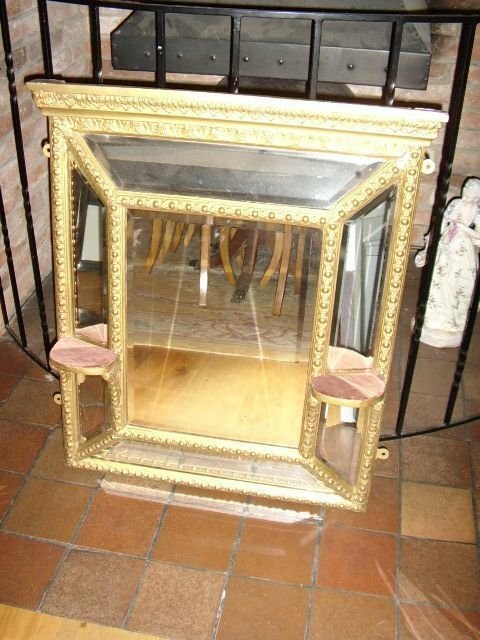 Unusual in design and probably a one off example which would suit the interior of a converted church,abbey or monestry. 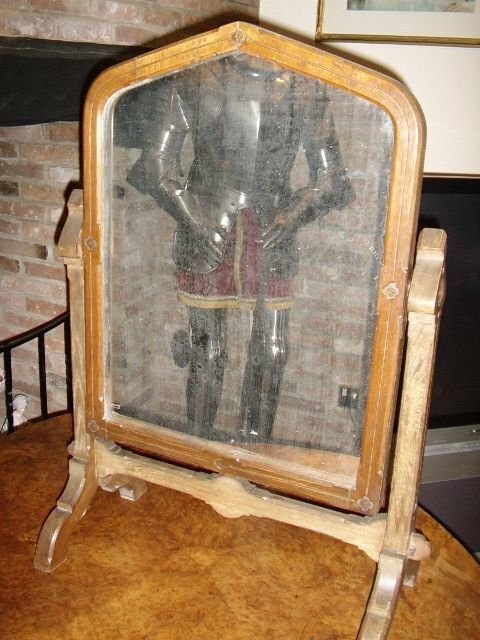 This example has been produced as a later copy. 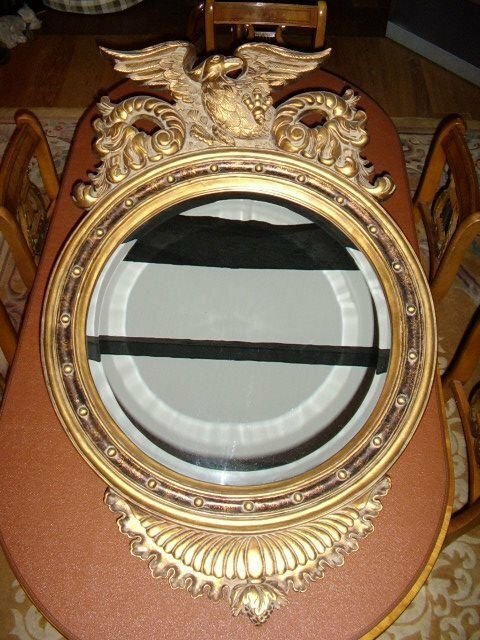 The glass is 22.25 Inches in Diameter and is beval cut. 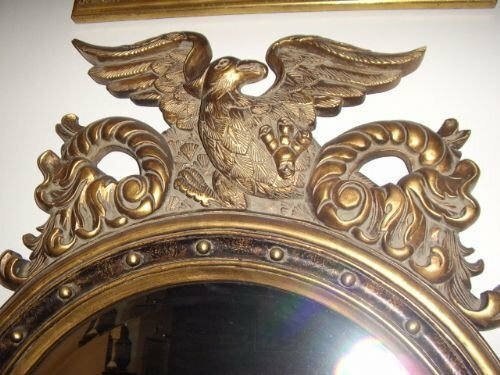 A large Eagle with wings spread,sits proudly on the top. Measurements are Height 45 Inches. 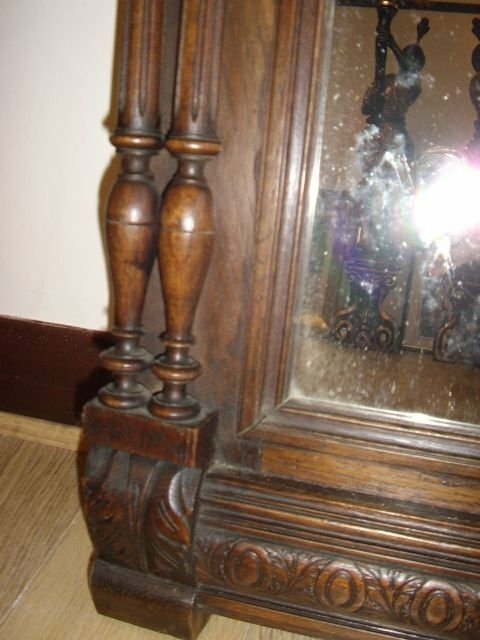 The Width is 29 Inches. The Diameter of the Glass is 22 1/4 Inches. 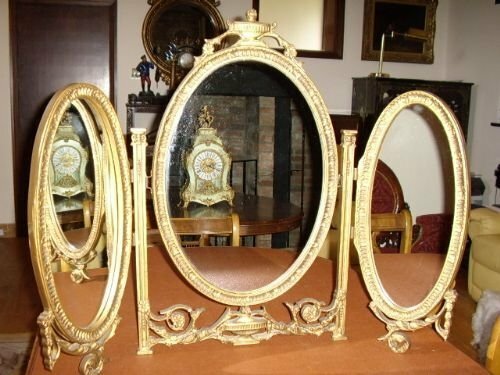 A lovely example of a free standing tripple oval glassed mirror for use in a bedroom on a dressing table or chest of drawers. 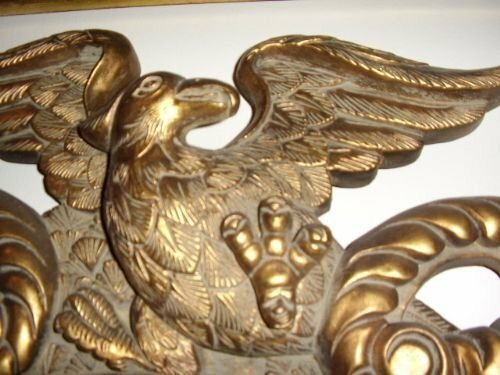 Beautifully cast plaster pattern finished in antique gold paint and all intact and in very good condition. 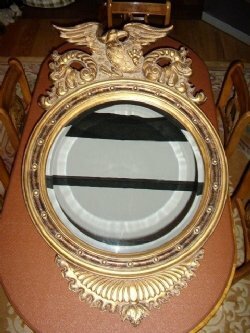 Measurements: Height Main Mirror 28 Inches. 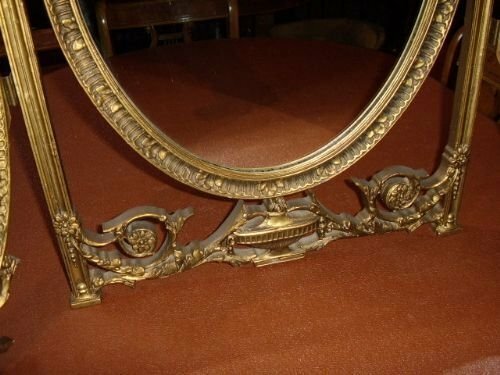 Total Width of all 3 Mirrors 32 Inches approx. 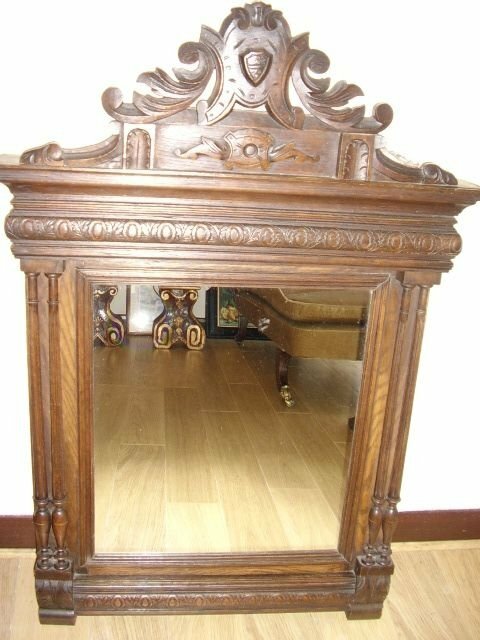 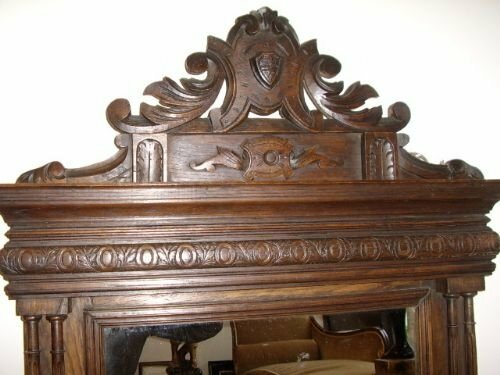 A very decorative solid oak walling hanging mirror with a splendid carved family crest in the top section.Lovely twin turned oak pillars with carved borders.The glass hasbeen replaced. 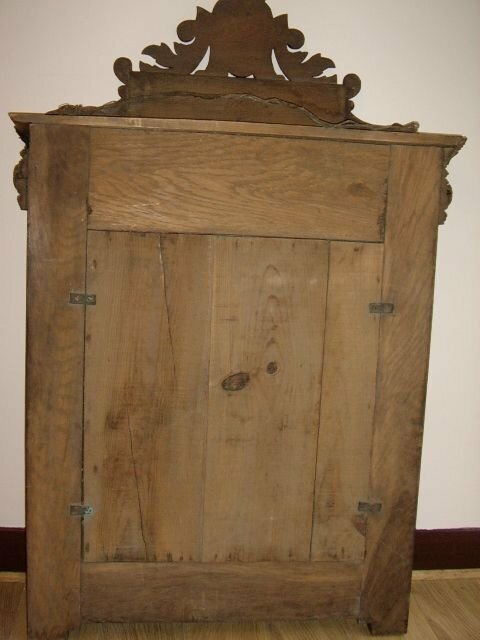 The back is original with the heavy hand cut panels still in place.A lovely medium oak colour. 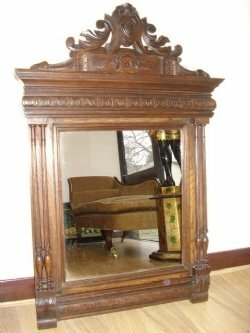 Measurements are 45 1/2 Inches in Height x 30 3/4 Inches ib Width.The Depth is 4 1/2 Inches.